We are often asked where the name of our company comes from. The more timid tend to hypothesize roots in Indian culture, while the more audacious suggest that we may have made a wrong mix of Knowledge with Funds. However, few seem to notice the strongest element, the key which effectively represents our essence. The name "Funds Ve'daa" derives its origin from Arthashastra written by Aacharya Vishnugupt (Chanakya). Arthashastra is an ancient treatise on the art of politics, statecraft and economic policy. When translated, the word Arthashastra means "Scripture of Wealth". The term Ve'daa – "Knowledge", "Wisdom" is derived from the root "Vid" – "To Know" in Vedic Sankrit. This being the underlying essence of the term "Funds Ve'daa" articulates and speaks for itself that profound knowledge of every facet, of all the elements that exist in the realm of the financial orbit is imperative. Funds Ve'daa is an organisation that provides Mutual Fund Distribution services. We are based in Agra. To us, the key to achieving sustainable financial prosperity is knowledge. At Funds Ve'daa, we have a clear policy to be ahead of the development and always seek to acquire the information necessary to suggest the most beneficial and up to date options. Should you recommend SWP in equity funds? What is the appropriate dress code for financial advisors? What about your business, dear advisor? She can make you a millionnaire! No scams involved! Is your client prey to projection bias? Should I invest in L&T Emerging Businesses Fund? Ask ET Mutual Funds: Where should I invest for 1.5 years? Ask ET Mutual Funds: Will short-term funds offer good returns? Will ULIPs and bank FDs threaten MFs now? Should IFAs advise clients to go for ETFs? Do I need to rebalance my portfolio? ICICI Prudential Dynamic Plan becomes a multi-asset fund. Should you sell? Shifali had always wanted to be a businesswoman. This is what drove her to initiate her mutual fund and portfolio management business. "My husband and I took a far sighted approach as we wanted to realise our full potential. While looking out for opportunities, we saw an opportunity in mutual fund and portfolio management as there were not enough professionals in it," recalls Shifali. This led to the launch of Funds Vedaa in 2002. After much deliberation, the firm took two key decisions. One was to focus on HNIs and the other was to create is USP which was to provide all financial requirements - from taxation and accounting to portfolio management. "I started by catering to the existing clientele of my husband's firm Sahib P. Satsangee & Co. and then expanded my horizon by looking at other potential clientele. Our USP has been to provide taxation and accounting as parallel services along with our core business. We have focussed our energies on delivering value added services so that we are perceived as different from the rest of the market," says Shifali. However, being a woman IFA, she faced a few road blocks. Most of her prospective clients were men and to convince them to invest was a little difficult. "People don't take women IFA seriously as they doubt the competence of women in financial matters. I used to emphasise on a rigorous process of investment research and extensive investor profiling help them in asset and fund allocation. That is how I gained their confidence and made them comfortable," claims Shifali. 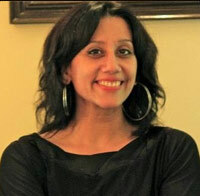 Shifali believes in staying in touch with her clients. "I usually meet my clients once a week. We also proactively review client portfolios and asset allocation regularly. We currently have 20 HNI clients with us. We have expanded the clientele base through reference from old clients," says Shifali. Shifali is proud of the fact that her first client is still with her. Shifali claims, "We customise the client portfolio according to the goal, requirement and risk profile. This leads to better results and generates greater client satisfaction." The firm is revising its business model by shifting its focus from earning revenue per transaction to revenue per customer. The firm plans to leverage the digital space to grow. It is establishing its presence on social media network – Facebook and Twitter as there has been a fundamental shift in the way the world now communicates. It is also looking at launching its website in next three months. "We are trying to leverage the power of technology and making use of digital revolution to expand our frontiers, "says Shifali. Three years down the line, Shifali wants 'Funds Vedaa' to be recognised as a respected brand by earning goodwill and establishing credibility in the retail segment as well. The firm plans to go retail in a big way and is looking to one or two more branches in Agra. The retail strategy of the firm is to organise many customer awareness programs and reach out to clients from different geographies by utilising the digital technology. "We would make our presence felt by sponsoring events that support good cause," says Shifali. Have we identified the underlying goal for which this investment is being done? What client need or requirement does this scheme meet? What is the time horizon to remain invested - short term or long term? Have we done a comprehensive fund analysis after in-depth research of the schemes before deploying the funds in a scheme? Is the scheme a consistent performer? Does the scheme protect the downside when markets are choppy or in a tailspin? What is the track record of the other schemes being managed by this fund manager? Is the track record consistent? Is the fund house sound with a sound investment philosophy and good management? Does the fund house have robust processes in place or is it over dependent on the skills of one or two fund managers? Are the holdings in the scheme portfolio overweight on certain companies/ sectors? While evaluating funds have we considered the relevant statistical measures of risk ratios of the scheme? Do we know enough about the client? Do we know his goals? Have we assessed the unique financial personality i.e. the financial profile of our client? Have we understood his cash flow? Is the asset allocation structured in line with the client's goals, age, risk profile, time horizon, liquidity requirements and personal circumstances? Does the client have a concentrated portfolio? Has the portfolio been dichotomized between core and satellite portfolios? Do the core funds, in the client portfolio consist of blue chips /large caps? Is the portfolio tax efficient? Is the portfolio taking advantage of the plans like SIP (Systematic Investment Plan) and STP (Systematic Transfer Plan)? Have we made the client understand the rationale of this exercise of portfolio construction? Have we got the client's agreement on the changes suggested? Has the client understood the impact on costs, fee etc. as a result of this exercise? Have we documented the entire process for future reference? Is the portfolio reviewed at regular intervals? Before the actual review of the portfolio, have you met the client to ascertain if his/her goals and circumstances undergone a change? Are the changes in client's goals and circumstances reflected in portfolio review? Have we got explained the process and got the client's approval to make changes as a result of the review? Shifali Satsangee of Funds Vedaa digs deep into the Bhagavad Gita and finds that it can be a great guide for motivation. At the outset, let me tell you that I am no HR expert; I am just another person around the block who believes in developing and nurturing employees in such a way that we get the best out of everyone. I do not know the nitty-gritties of how successful leaders could inspire their people, but I got my share of learning from one of India's greatest contributions to the world—the Bhagavad Gita. While the regulatory changes were in full steam, I realized that there was so much we could imbibe from the Gita.The epichas standards of behavior and values addressed to each individual to help him/her to tide over difficult times. The hopelessness and despair of Arjuna in theGitais typically that of a vulnerable human. Sri Krishna, by sheer power of his inspiring words, changes Arjuna's mind from a state of inaction to one of righteous action and to a state of self-confidence. So the question is what can we learn from the book that would help us motivate our team and sail through tough times. Lead by example:"Whatever the excellent and best ones do, the commoners follow," says Sri Krishna in the Gita.Stick to basics,lead by example and set anexample. When the team sees the leader work hard, it motivates them to keep pace with him. 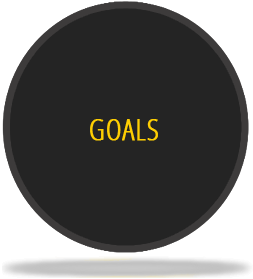 Clarity of goals: Each person has perspectives and attitudes towards his work. What theGita tells us is to develop the visionary perspective—to develop a sense of larger vision in our work for the common purpose. Clarify the purpose and goals so that people can focus on attainment of those goals. Involve people in the communication process to create the goals to be achieved. If people are involved in the process, they psychologically own it and you create a situation where people are on the same page about what is really important—mission, vision, values, and goals. Trust your team: Lord Krishna had complete faith in Arjuna's ability, which in turn motivated him to take on the battle. You should show others that you believe in their capacity to live up to certain expectations, to deliver on promises, and to achieve key goals.Consider everyone a leader and they will have asense of mutual accountability automatically. If you force someone to do some work you get what you desire, but if you set him free and make him accountable or own that task you will get more than you wanted. Stand by your team, come what may:Recognize that everyone is afraid when things get uncertain. Instead of allowing themselves to be insecure and fearful, try convertingtheir anxiety into results. This is what Sri Krishna did when Arjun was full of despondency and fear.Be available for your employee when he needs you the most and be accessible, and you land up creating a very strong bond. The point you ought to make clear is "I am your leader and I am always there for you." Krishna set an apt example by driving Arjuna's chariot and being there with him in spite of facing a huge army. When the going gets rough…The Gita teaches us to be balanced or equipoised during good times and bad times. The skill necessary in the performance of one's duty is that of maintaining evenness of mind in face of success and failure. The calm mind in the face of failure will lead to deeper introspection and you see clearly where the process went wrong so that corrective steps can be taken to avoid shortcomings in the future. The Gita helped Arjuna win the Great War—the epic can inspire you to tide over the many battles that you will face while motivating your employees. A few IFAs feel that the new regulations mentioned by SEBI would improve the advisory standards while other feel that it will lead to decrease in their revenue generation which would lead to a lot of exits. SEBI has floated a concept paper on regulation of investment advisors; you can read here : Should I be a Financial Adviser or an Agent – How to decide? Many IFAs feel that if these regulations are implemented, then it would lead to decrease in revenue generation of the mutual fund as well as distributor community. "The norms in the concept paper will only promote agents and not advisors. If the regulation is implemented it would lead to decline of IFAs. Already most of the distributors have exited after the ban of the entry load and if such regulations are implemented we would see more exits," said Suresh Sadagopan of Ladder7 Financial Advisories. On the other hand, Sumeet Vaid argues that this regulation will give advisors more professional recognition and will help the investors to distinguish between distributors and advisors. "I feel the regulations would benefit the investors and will not allow any individual to carry on the activity of offering investment advice unless he is registered as an investment advisor." Distributors play a dual role as the agent of both the investor and the financial product manufacturer, getting paid from both ends. According to the concept paper, such divided loyalty is not in the best interest of stakeholders and results in a situation where the distributor is loyal only to himself; churning investors' portfolios and squeezing more commission from the manufacturer. Most of them are ready to be called as agents rather than advisors because they find it difficult to charge a fee to clients. "Most of the distributors would be happy to be called as agents although they might be good advisors. This is because in India it is difficult to charge a fee for financial advisory, "said an established advisor. The IFAs also revealed that a few norms like maintaining voice record and documents of conversation with the clients is impractical and would increase their costs. "The regulations would upgrade the advisory standards but it will increase our expenses as well. Maintaining voice records of clients is not practical and is time consuming. However, the regulations would also provide legal sanctity to advisors," said Shifali Satsangee of Funds Vedaa. Also, IFAs do not agree with the qualification mentioned by SEBI for advisors. Jayant Vidwans, one of the founding members & President of SOFP wants CFP to be included. "SEBI wants to segregate between advisors and agents which is a good step. But it is considering MBA, CA as qualification for advisors and not CFP which is a specialized course for financial advisors," said Vidwans. Others question the relevance of these qualifications. "A lot of my friends are CAs but they are not aware of the various financial instruments that will give good returns. Even a lot of qualified CAs and MBAs who are insurance agents are only well versed with LIC, "said Raj Parekh (name changed), IFA. H K Chugh, an IFA from Kolkata agrees. "I have an experience of investment advisory for more than eight years but I am neither a CA nor a MBA does that mean I can not now act as advisor? My clients are happy with my investment suggestions, "argues Chugh. Overall, quite a few IFAs are unhappy with the proposals mentioned in the concept paper. Many are planning to operate under two ARN numbers – one for agents and another for advisor so that they can satisfy the regulator and generate good business for themselves. They also feel that the new regulations should be implemented across all financial advisory industry and not just for mutual fund advisors. When you are setting up a company, you will need to craft a logo that will represent your business. A logo must be designed with adequate care as it is a visual representation of your company. The logo of your company will not only give your potential customers a first impression about your enterprise, it will be something that you will come to be identified with, as and when your business begins to grow. At the initial stage of a start up, most entrepreneurs make the mistake of not paying enough attention to this important aspect of brand building. So that you do not make such mistakes, here are some tips you will find useful while designing an appropriate logo. When you are setting up an enterprise from scratch, you will need to chalk out a budget for everything. Brand building is an important exercise, so set aside a budget for brand building, keeping logo design at the centre of it. As a start up, it is likely that you cannot keep a large amount of money aside for this exercise, but do not skimp either. The next step is to find an appropriate design house. A lot of due diligence is required when you do this. Run a Google search and shortlist a few design firms who showcase their work on their website. Shifali Satsangee, founder and CEO of Funds Vedaa, a niche portfolio management services firm based in Agra, says that all aspiring entrepreneurs' must also make optimum use of the social media platform to get recommendations from peers "I was candid about my search for good design firms on social media platforms, and suggestions poured in from all corners." She says. Carefully weigh your choices, before you make a final decision. Once you have zeroed in on the design firm, you have a candid discussion with the creative team that will be constructing your logo. An efficient design firm will ask you elaborate questions on not just the profile of your company, the personality of your enterprise, the tone you would want to project and the future aspirations that you have. It is like talking about your company as if you were talking about a person. The clearer you are about your needs, the better it is. Shifali Satsangee of Funds Vedaa says "What I essentially wanted to convey to my clients was that we are firm that they can trust with the wealth, and we will walk alongside them in their journey of augmenting their wealth. I wanted the logo to exude both confidence and power was on my mind. " Bharathiraja Thangappalam founder and CEO Mitra Studios Pvt Ltd, a digital media marketing and brand consulting firm who has worked on the Funds Vedaa logo and website recalls his interaction with Shifali Satsangee. "Being in the field of financial services, Shifali wanted to use the colour blue, because blue is a colour that generates confidence, but after extensive discussions, we decided on using the colour yellow, because it not only stands for confidence, it also gives the traditional feel that was the essence of her firm. We have used a sun at the centre of the logo that is a symbol of confidence as well as the power and determination she wanted to convey." Look at competition: When you are in the stage of discussion with the design firm about your logo, make sure that you and your designers take a look at the kind of logos that your competitors have used. This will give you pointers on how you can differentiate yourself from your peers. Focus on the message: The logo has to articulate the message that you want to convey about the business of your firm. Keep your target audience in mind, and remember that it has to make an impact on their mind. Colour scheme: It is all very nice to have four or five colours on a logo, to make it look gorgeous and attractive, but remember that using too many colours will also escalate your costs as it is to be reproduced on a variety of things including packaging and stationery. The standard is to use two or three colours at best. Functional and clear: Make sure that your logo is not too complicated. It should be clean and functional for you to be able to reproduce it on business cards, letterheads and should even make a significant impact in black and white when you photocopy it or need to fax it. Cost factor: For a start up, costs are the most important thing that needs to be taken into consideration. While it is not advisable to be too stringent on the budget, you also need to make a prudent choice. Work out a good package cost with a design firm. For start ups there a lot of design firm that offer attractive packages. For Rs 10,000-20,000 it is possible to get the logo design, business cards and stationery such as letterheads and envelopes. Just designing a logo is not enough; you need to protect it too, so that it cannot be used by any other company. You will need to get in touch with a trademark registration firm that will help you go through the procedure of registering your logo. The entire process can be completed online with the help of such firms, who will do everything from finding a trademark attorney for you to filing for a registration and getting the final approval. One such firm is http://www.tmpsearchers.com/ that will complete the entire registration process for you for a fee of less than Rs 5000. After a trademark has been registered you can start using the circle mark Â® on your logo. This is full and final proof of the fact that your trademark cannot be used by anyone else other than you. Rajesh Koradia of Save and Smile shares how he got his first client. My first client was my father in law's brother who had approached me directly without consulting my father in law. He had never invested in mutual funds till then. When I tried to explain the concept of mutual funds, he just said he trusted me and handed me a cheque without understanding the details. I had recommended an equity fund to him. He continues to invest through me even now. After some time, I asked him what convinced him to invest through me and that too in an instrument which he did not know very well. He said, “My hair has not turned grey playing in the sun, but with experience. I can judge a person by his actions, and felt that you would not be reckless with my money". Then I asked him whether being related was the factor that swayed his decision, his reply was that he was a businessman and did not make decisions based on emotions. After hearing this I realised that trust is an important factor and building trust is the basic ingredient for business. Another thing which I realised was that people first trust the advisor and then the product. Shifali Satsangee and her husband Sahib of Funds Ve’daa converted Sahib’s existing HNI clientele availing accountancy services to mutual funds. My husband, Sahib, a chartered accountant, had been providing accounting and legal services through his firm since 1990. In 2002, while contemplating diversification, we realized that there was a dearth of professional and management expertise in the field of investment advisory and portfolio management services. After foreseeing the need and the lacunae in this domain, we decided to completely focus our energies on one investment avenue - mutual funds. And hence Funds Ve’daa was born. Instead of looking for new markets, we decided that it would be logical for us to start by catering to the existing clientele, who were HNIs, and later broaden the ambit by venturing into unfamiliar territories. We decided to focus on one group amongst Sahib’s clients, which was channelizing their funds only into RBI Bonds at that time and had absolutely no clue about other investments. And since then there has been no looking back. We are filled with a sense of both contentment and gratitude that this group is still with us and has been bringing in new clients through their referrals. Over the years, we have realized that being customer-centric (by aligning ourselves to customer requirements) and not product-centric has worked to our advantage. And that, the “Marketing” approach has stood us in good stead than the “Selling “approach. We also believe in the power of smart work as much as we believe in hard work. We also realized the importance of “Adhyyan, Seva, Vyaayaam”. Adhyyan - with knowledge comes wisdom and with wisdom comes growth. Seva- unparalleled levels of service contribute to growth. Vyaayaam- sound mind in a healthy body is the mantra. If you are unable to remain fit, you won’t do justice to service your clients. We also have the conviction that the only constant in the world is change. And the only mode of survival is adapting oneself to these changes. One has to be agile and adaptable to survive in any industry. In order to increase the penetration beyond top 15 cities (tier I cities), SEBI has allowed AMCs additional 0.30% expense ratio for locations, depending upon the extent of new inflows. Though much of it is expected to be passed on to distributors, many are not sure if there could be a substantial enough increase in commissions. "We are still not clear how much remuneration will be paid to us. We don't feel that it will up too much because now exit load will go to the scheme. So, we don't know how AMCs are planning to modify the commissions," says VikashAgarwal, IFA from Orissa. However, many IFAs welcome the move to broad base the reach of mutual funds. "We still need more clarification on the structure of payment but overall we feel that it will help AMCs to increase penetration in tier II cities," says SamiranBanerjee, IFA from Durgapur. Shifali Satsangee, IFA from Agra agrees. "It's a positive move by SEBI by increasing the commissions for IFAs in tier II cities," says Shifali. 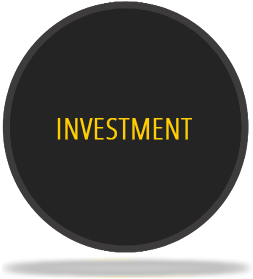 The world of investments and money management has most often been deemed as the gentlemen's domain or jurisdiction. Investments are primarily and predominantly made by the gentlemen and seldom by women. The universe of a woman is unique in its own way with a distinctive set of responsibilities and demands on her, which thereby influence her set of priorities and limit her ambit. Historically speaking, women never had a say in financial decision making and awareness levels were negligible and that is where Gandhiji's quote would be apt: Educate a woman and you educate a family. Today, the terrain that women dreaded to tread or the path less traveled by them in the past is now being explored by them after we saw a whole lot of awareness campaigns being addressed towards promotion of financial savviness in women. Women are nowmoving up the learning curve and are better informed than what they used to be. An insight into the female psyche depicts that most women are still apprehensive about taking financial decisions independently. Categorizing into HNI and retail segments, we see that awareness levels and financial inclusiveness in HNI women are dependant on their cultural background (conservative or modern), education levels and independence given to them. We also observe that women from this category are usually not risk averse and have a reasonable risk appetite, though each individual has his or her own unique financial personality but the above observation has been a trend which cannot be overlooked. Conservatism leads to non inclusion of women in taking any financial decisions while a modern mindset in a family leads to combined decision making. Women in joint families usually do not have a say in decision making while in nuclear families they do to a certain level depending on other factors mentioned before. In the retail segment, working women who are attached to banking or financial sector are more aware about how and where to invest than their other counterparts who work in areas other than finance. Women investors also tend to focus on detailed reviews and their logical decision making process is to a large extent influenced by emotions and public views. On a more optimistic note, it would be essential on our part to direct our efforts to promote financial literacy particularly in women, take this up as our Corporate Social Responsibility (CSR) and initiate work towards this endeavor. Courtesy by : MFRT (Mutual Funds Round Table Conference) Annual Publication 2012. Funds Ve'daa chalks out a roadmap to fulfil your financial goals - the pathway to your financial aspirations. Design is in itself a process, and making your portfolio look great is just a small part of that process. First and foremost we aim to make your portfolio work for you. In return we will reap the benefits of giving our customers a great experience. That's win/win right there. By recognizing the most important factors of each portfolio's urban fabric and implications, Funds Ve'daa has cultivated the art of conveying this abstract essence into a formal response, maintaining both the portfolio itself and relationships with its esteemed clientele. Our stress lies on applying "client centricity" to portfolio management, before we apply the financial metrics. Our strategy is simple; we comprehend your investment goals, understand the risk appetite and then come up with tailor made solutions. One point agenda : To keep working to make your wealth grow. In a financial world that is getting increasingly complex, our goal is straight forward. We want to minimise your risk and maximise your returns. Our energies are focussed on performing meticulous research on fund houses and their schemes. 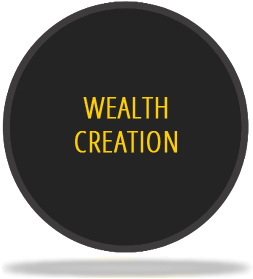 We provide you assistance through our distrubution services for your long term wealth creation. The discovery phase is where we ask you lots of questions to get a full understanding of your expectations from your hard earned funds. It is important that we start with the expectations and not simply jumping up with guns by suggesting you the options. This way we can find the best approach to achieve what you see as a dream rather start building a bigger dream for yourself. Armed with this information we can move on to fund houses/ schemes research and create journeys for you. The research phase allows you to make quantitative decisions about your portfolio. Using the wireframes and your dream destination in mind we can now start investing your hard earned money into the schemes that suits the best.